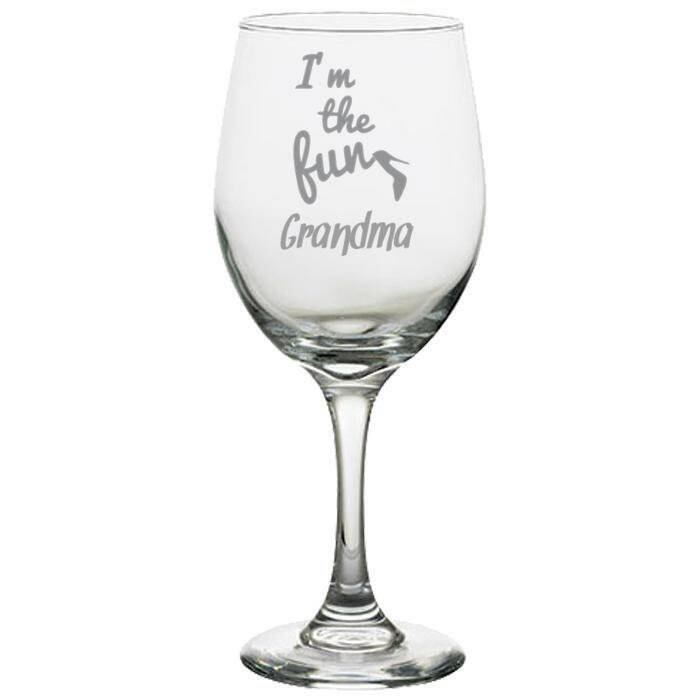 Enjoy your wine in this personalized laser etched wine glass with “I’m The Fun Grandma”. Sturdy stems and tapered bowls give this glass an air of sophistication! Plus, its classy design makes it an ideal choice for restaurants, bars, banquet facilities, event planners, and caterers. Its all-purpose bowl shape is suited for serving many types of wine, cocktails, and spritzers while their simple, elegant design complements any dinnerware or event theme. A personalized, custom engraved Wine Glass is a gift from the heart that will be cherished forever and make a great one-of-a-kind keepsake. It is a perfect gift you can feel good about giving!